MARY FEDDEN. THE RED TABLE. 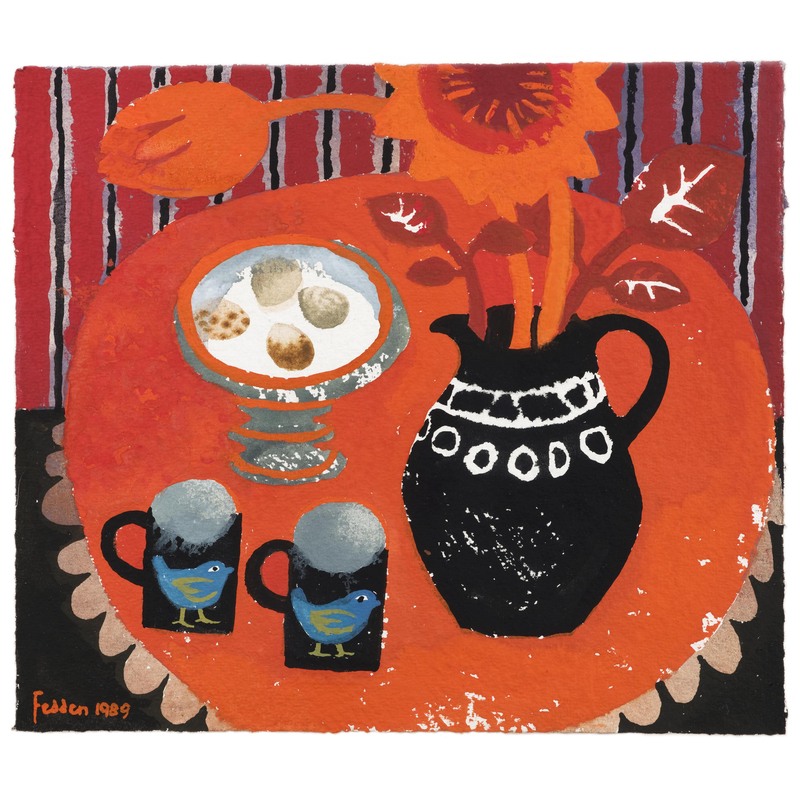 Mary Fedden had a rare talent for presenting everyday objects and simple themes in ‘staged’ compositions. She made brilliantly effective use of colour, as exemplified by this dramatic painting ‘The red table’. Over the years small gouache paintings, of which this work from 1989 is a fine example, have become highly collectable. This is a good example of the type of work that has made Mary Fedden a much loved figure in the art world. MARY FEDDEN. THE RED TABLE. Available for sale – please contact us for further details.